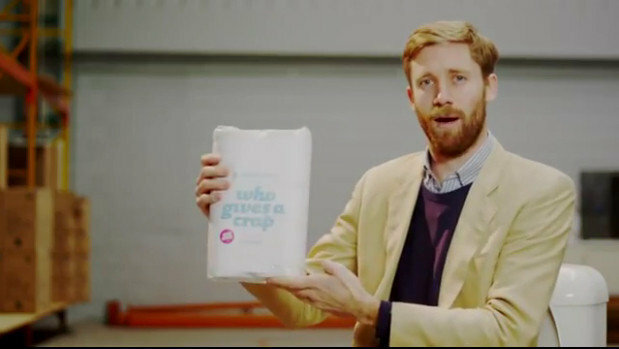 Since launching in 2012, Who Gives A Crap has become a household name. The brand’s mission to sell toilet paper that builds toilets has resonated with hundreds of thousands of consumers worldwide looking for a brand intent on making the world a better place. After learning that 2.3 billion people, or roughly 40 per cent of the global population across the world don’t have access to a toilet, the company’s co-founder, Simon Griffiths, in 2012, set out on a mission to build toilets for the less fortunate. It was this realisation that saw Griffiths pledge to live broadcast himself sitting on a toilet in a warehouse until he reached his mission of $50,000 sales in a crowdfunding campaign. 50 gruelling hours later, after being broadcast across the world and landing on front page newspapers, the start-up skyrocketed to success and did their first production run 8 months later. “We started sending the orders out to our campaign supporters and without doing any marketing we started to see our daily sales rate double day on day and after 5 days sold out of stock in the warehouse we had built in the last 3 months,” Griffiths told Retailbiz at Shopfiy’s Commerce + event. Griffiths said it was in this moment that he realised he was onto something . Consumers were no longer just looking for the endorphin rush of buying – they wanted to spend and make a difference while they were at it. “We tapped into what we already could see as consumers ourselves, this shift in the way people were demanding products, we could see people wanted products that did more,” he said. But he also knew he had to create a product that stood out visually – something that revolutionised the way people use toilet paper by being so attractive that people would want to display it in their bathrooms and not hide it away in their cupboards. This concept reverberated with consumers, who responded with thousands of social media posts promoting the virtues of the product. Three years later, the team decided to branch out internationally with their mission to build toilets for those who couldn’t afford them. After a process of trial and error, testing shipments to the US and UK, Who Gives A Crap launched into these two markets. “We were always biting off incremental chunks trying to get up the learning curve to validate that we made all the right assumptions along the way,” Griffiths said. The move was well worth it, with international sales now making up half of the brand’s total sales. A big part of the brand’s rapid expansion is the team’s commitment to full transparency around their social impact. It is this transparency in keeping consumers up to scratch on how much they’ve donated, and uploading financial records online, that Griffiths says has been the primary reason for the incredible social media response. “We think if we can give our customers more information and answer questions before they come to us that’s how we can help people to believe in what we’re doing, when we do that we see a very high level of trust in our customer base,” he said. But this commitment to donate half of their profits to a social cause has also created a “tension” in the brand’s expansion, Griffiths says, requiring the company to strike the right balance between spending to expand and conservatism to ensure they can stick to their commitment of donating half their profits. “It’s a complex equation but definitely getting word of mouth marketing is something that really helps to grow the business in a way that is sustainable,” he said. But the growth doesn’t stop here, Griffiths says, with the company set to make a big announcement about new products and markets later this year.